NEW YORK — PharmaSmart International Inc. and Chain Drug Review have launched a partnership designed to help pharmacy patients lower their blood pressure. Over the next year, the first-of-its-kind collaboration aims to generate awareness in U.S. and Canadian community pharmacies about hypertension and spur efforts to reduce rates of uncontrolled blood pressure. Under the partnership, PharmaSmart biometric screening technology and health IT systems will serve as the driver for generating and streaming patients’ blood pressure readings to a secure, HIPPA-compliant data center. Qualified clinicians will assess confidential data during the one-year program. A secure and dedicated portal that delivers de-identified results will be accessible through the Chain Drug Review website and powered by the PharmaSmart PS DataSmart health IT database. Pharmacists can now enroll by clicking on the “Lower My Blood Pressure” button atop the chaindrugreview.com site. That will bring them to a portal page that provides a link to register for the program and outlines the contest rules and participation requirements. PharmaSmart and Chain Drug Review note that the effort highlights the fact that community pharmacists can play a bigger role in their patient’s health care. PharmaSmart’s clinically valid “out-of-office” blood pressure screening tool is supported by leading national physician groups. Because of this strong clinical positioning, pharmacists can coordinate hypertension care with local doctors and recommend the program to their patients. 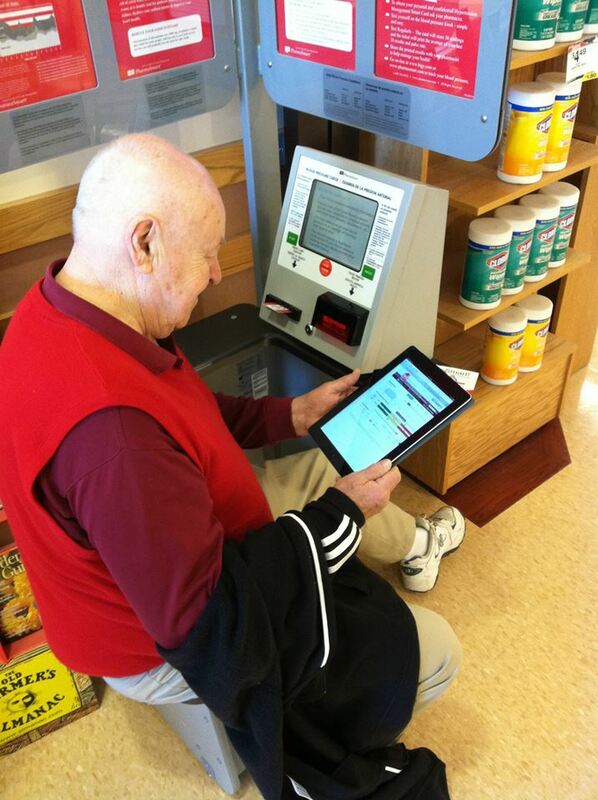 PharmaSmart serves more than 6,500 locations, including such retail pharmacies as Brookshire’s Grocery, Kinney Drugs, Bartell Drugs, Sav-Mor Rx/Sav-On Drugs, Nash Finch, Roundy’s/Mariano’s, Associated Food Stores, Leader, Health Mart, Good Neighbor Pharmacy, Astrup Drug, Winn-Dixie, Big Y Foods, Harmons Grocery, Wal-Mart Canada, Safeway Canada, Loblaw, Jean Coutu, Shoppers Drug Mart, Rexall, Sobeys and Lawtons. The company’s technology also is deployed at major work sites, military bases, university schools of pharmacy, hospitals and medical clinics. The PS DataSmart Health IT database currently holds more than 40 million targeted patient blood pressure readings. “We are extremely excited to partner with PharmaSmart on this unique collaborative effort and, in turn, bring attention to the positive role community pharmacists can play in controlling patient blood pressure,” said Jeff Woldt, vice president and editorial director of Racher Press Inc., the publisher of Chain Drug Review.